After iGameMom introduced the Audubon Birds App, I started paying attention to other bird apps. Thanks for Nigel Hall’s note, I learned about Peterson Feeder Birds of North America. It is a FREE app about feeder birds. Similar to Audubon Birds, you will be able to look up birds with pictures, locations (state), nest, etc. 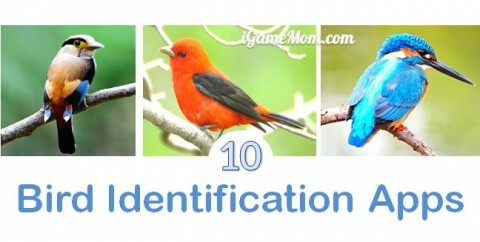 What is different is this app’s focus on feeder birds, ie., the birds you see in your backyards. It covers 160 common North American backyard birds. It is a great app to have while playing in the backyard or walking on the trail in a park. In the meantime, I also learned another app Peterson Birds of North America. 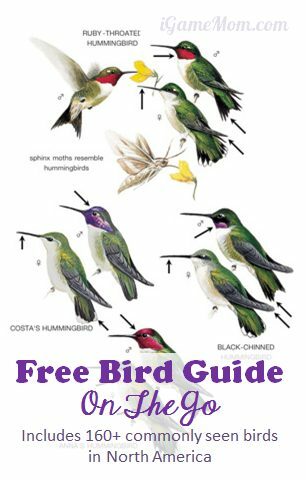 This is Peterson’s comprehensive bird guide for North America, including 810 birds. For those into the birds, Peterson’s field guide to birds of North America is very well known. 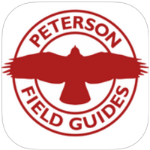 The app contains the entire print guide, plus seven other books in the Peterson Field Guide series: the eastern and western guides to Birds’ Nests, Molt in North American Birds, Feeder Birds of Eastern North America, and family guides to Hawks, Hummingbirds, and Warblers. If you are into bird watching, check it out. Update (Mar.25, 2018): Looks like they combined the two apps into one. Now the combined app is a free download, with options to purchase the full version with over 800 birds info. I think this is the app my daughter has. It has come in handy several times. It is great that you can put it on your phone, and have it with you when you are outside.